Envision Counseling Clinic is bringing hope to our Castle Rock community. People across Douglas County come to us when they have done all they know to do and are still stuck. We help clients find relief, face their challenges, and forge a new path: a path they couldn’t envision alone, a path that leads to life. Our therapists specialize in integrating Christian beliefs with sound psychological research, and respect the complicated nature of our clients’ concerns. By bringing together a psychologist with counselors who have a wide range of specialties, our Christian counseling center is able to help our clients open up new possibilities and move forward. 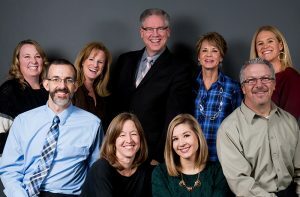 Envision Counseling Clinic was founded by Steve and Veronica Johnson to create a community of fun-loving Christian therapists that could support each other and provide trustworthy counseling in Douglas County. We keep each other accountable through collaboration on tough cases, ongoing training, and community gatherings. Partnering with like-minded individuals, churches, and professionals is key to getting people in need connected to the right therapist in our office. Contact us if you’d like to partner with us and help make an impact in Castle Rock and beyond. In addition to our focus on Castle Rock counseling, we are excited to serve those living or working in Franktown, Sedalia, Castle Pines, Parker, Larkspur, Lone Tree, Palmer Lake, Monument, Elizabeth, Kiowa, and south Denver. Give us a call at 720-WELCOME (720-935-2663) and schedule an appointment today! If you’d like to work at Envision or participate in our internship program please click here.